Camp for €18,- a night at Campsite Le Cheslé in low season with CampingCard ACSI. 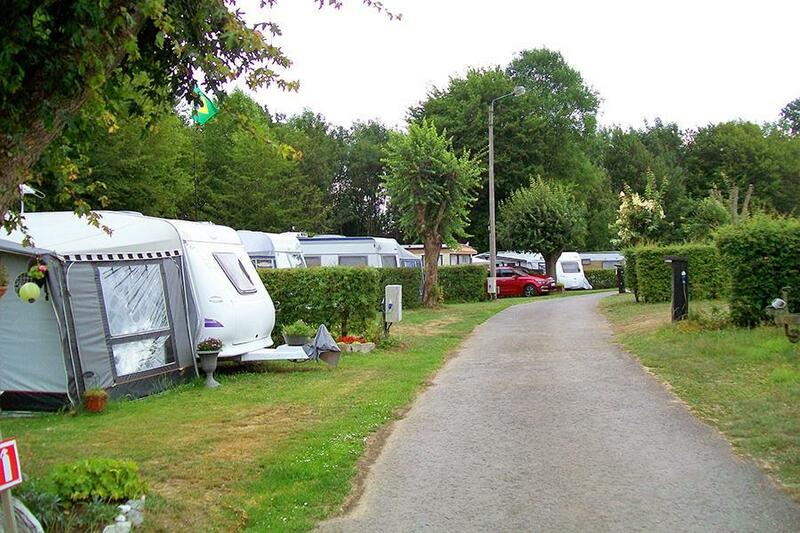 Campsite Le Cheslé, located in Vogenée (Namur), is a campsite with 78 touring pitches and 40 year round pitches. With your CampingCard ACSI you can camp on one of the pitches during the following periods: 15-02-2019 - 30-06-2019 and 01-09-2019 - 15-12-2019. At this campsite you can not only use your CampingCard ACSI for inexpensive camping, you can also use your ACSI Club ID (as an alternative ID). Quiet campsite with friendly welcome. Many options for walking and cycling and plenty of diving possibilities in the direct vicinity. The sportive camper can sail, kayak or go geo-caching in the vicinity. Stayed here one night 30th June 2018. Our pitch was large but was surrounded by stinging nettles, I had to cut them back to get to the water tap. The toilet facilities were disgusting, I didn`t was to use them as I thought I would come out dirtier than I went in. Some of the electric plug sockets were ripped out of the ground. When I came to pay she would not accept the ACSI card as we were paying on 1st July although we stayed 30th June! We were really glad to leave, would not recommend the site to anyone. This does not mean that you immediately have to destroy everything and everyone. We allow everyone to search for their own a place as much as possible. The fact that they have been in the nettles only means that they have deviated from the campsite and have gone camping in the private forest, this is not part of the campsite. The site has been perfectly mowed very early in the year and all areas have been maintained. The residential owners each maintain their own pitches. The toilets and showers are cleaned every day (several times if necessary), for which there is an employee. I regret the fact that people try to take advantage of everything, the more they get, the more they want, but they do not respect rules any more, even now in private rooms they go nowadays. Very much off the beaten track and not worth the effort to get there. Very frosty reception and feeling of being watched in case we break one of the many rules! No information about anything around the site. Would be better off concentrating on their static homes as they seem to prioritise not upsetting them. Would not return. when we visited this site the touring park was very quiet,but we were made very welcome by the staff and residents, the toilets and showers were very clean and the pitches are quite big, if we were ever in the area again We would not hesitate to use again. A pleasant welcome to a very tired site. Very poor washroom block which didn't seem particularly clean. Hard to find level ground for a campervan. No information given about the area or amenities on arrival. Just stayed for one night. Would not return. Would you like to book Campsite Le Cheslé or request more information? You can do both using the information below. N5 Charleroi-Philippeville, exit Yves Gomezee. After the railroad turn right to Vogenee (4 km). CampingCard ACSI will send your information request to "Campsite Le Cheslé".